If you are looking for a holiday destination, look no further. The world is endowed with many beachside vacation destinations, therefore, you could be at a loss as to where you should go for your next vacation. Below you will find some of the best beachside vacation destinations to visit in the world. No one has ever gone on a Hawaii vacation and regretted taking the trip. Hawaii has some of the best beaches the world has to offer and it has been celebrated over the years. Some of the beachside vacation destinations you can visit during your Hawaii vacation include beaches in Lanai, Big Island, Maui, and Oahu such as Hulopoe Beach, Hapuna Beach, Wailea Beach, and Lanikai Beach. These beaches not only offer perfect grounds for sunbathing, but they also offer perfect sites for wave riding, swimming, snorkeling, and water sports, among others. They are also all dotted with state-of-the-art beach resorts to make your holiday one to remember. The experience may prove so fulfilling that you decide to look into a Welk timeshare in Hawaii for return visits. This destination has many swimmable beaches with stretches of golden sand. If you are looking for beachside vacation destinations also known for good diving conditions, surf breaks, or snorkeling, Cabo San Lucas is the place for you. Beaches in Cabo San Lucas have many resorts, bars, umbrella-shaded sunbeds, and restaurants to help you have the best vacation you have ever had in your life. 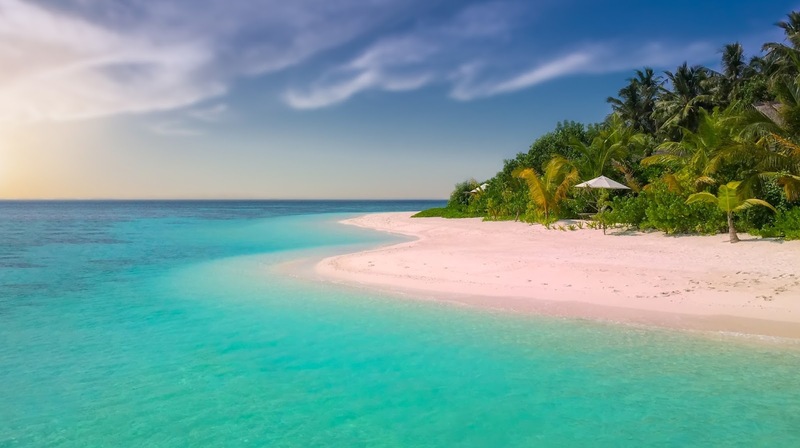 Some of the beaches you can visit include Playa Bledito, Playa Solmar, Playa Las Viudas, Bahia Chileno, Playa Palmilla, Playa Santa Maria, Playa Los Cerritos, Playa Costa Azul, Playa Del Amor, and Playa El Medano. These beaches are usually busy throughout the year with crowds looking for a good time. While more widely recognized for its inland safaris, Kenya is also known for tropical beach destinations ideal for relaxing, swimming, and carousing. Beach destinations in Kenya also offer perfect locations for snorkeling, water sports, and sunbathing. Some of the beachside vacation destinations you can visit include Diani Beach, Nyali, Lamu Beaches, Vipingo, Tiwi, Watamu Beach, Gazi Beach, Bamburi Beach, Kikambala, and Shanzu. These destinations offer a calm and relaxing ambiance guaranteed to help you forget all your troubles. They also offer a taste of the Swahili culture, something most tourists enjoy, more so Swahili dishes that have found their way across the world. One can also visit the coastal marine parks to get a feel for coastal marine life. If you are looking for an adventure, Kenya is definitely the place to visit. Kenyans are also known for their great hospitality. Another African country known for scenic beaches ideal for unforgettable vacations is Seychelles. Some of the beachside destinations you can find your way to include Anse Source d’Argent, Grand Anse, Anse Lazio, Grand Anse, Anse Intendance, Petite Anse Kerlan, Anse Georgette, Petite Anse, Anse Cocos, Anse Marron, and Beau Vallon. Most of these beachside destinations are ideal for sunbathing, swimming, and snorkeling, and also offer incredible scenery, photographs, and beautiful sandy beaches. For those looking for a honeymoon destination, Seychelles’ beachside destinations are perfect for newlywed couples. With its pink Sandy Beaches, Anse Source d’Argent has been crowned by the National Geographic as the world’s most photographic beach. For those seeking to travel to Europe, one can visit countries such as France, Germany, Italy, Greece, Spain, Croatia and Slovenia for a taste of the best beachside destinations Europe has to offer. In Croatia, one can visit Dubrovnik between April and November. Gran Canaria in Spain is ideal all year round while Positano in Italy is ideal between April and October. In general, the best time to visit beachside destinations in Europe is between April and October during which one can sunbath for the perfect tan, participate in water sports, and enjoy the scenery. Southern European destinations also offer a taste of underrated European cuisine and cultures, and are ideal for those looking for an adventure. When it comes to beautiful beaches, there really is no shortage of options to choose from! These only highlight the very best beaches from around the world. Hundreds of miles of shoreline, from Miami to Thailand, offer mesmerizing beachside vacation destinations as well. So many amazing places and great picks. Hawaii is next on my list. Me too it's been a while since we are planning to go to Hawaii. My dream tropical destination. We are headed to Italy this spring and can hardly wait. Last year we did Iceland, England and Ireland. Going be a great couple weeks. Wow great to know that you are such a happy traveler. I can't wait to hear your story on your upcoming Italy vacation. Enjoy! I love Mexico! I have never been to Cabo San Lucas but it is one of the places I want to visit! I love anywhere that has beautiful beaches as well as beautiful oceans. We visited Mexico twice last year and savored the fantastic beaches. I think Greece or Spain would make for an amazing seaside experience! I would love to go to any of these beaches. Especially now, when it's getting chilly out. I have been to a beach in Hawaii and it was fabulous. What an absolutely wonderful list of beach locations I would love to go to Hawaii one day it always seems a little like paradise. I live in a beach community and living in one is not what some might hope. I have always wanted to see many of those places, with Hawaii being on the top of my list. I didn't know that Kenya was known for its beaches. I will have to investigate that more. My husband has been wanting to go to Kenya. I have seen so many great places and beaches and all of this are magnificent. I'd love to add first Cabo, Mexico. I want to try the swimming with whale shark experience there. I just visited recently Croatia and I am amazed by it. Seychelles is a perfect place for honeymoon as I saw in some blogs. Well of course I want to visit it too! Maybe this year. Why not? Adding it on my bucket list. I wish I was at a beach right now! It's snowing here. I would love to visit Europe one day. It's on my bucket list. I have not been into any of these destinations so they are all in our bucket list! With the crappy winter we are having, I wish I could be in the beach right now. Hawaii has been at the top of the list. I’m working myself up to handle the 10 hour flight. I would also like to go to Mexico. I have been lucky enough to enjoy the beaches of both Hawaii and Cabo, but it sounds like I have some other beaches to enjoy in my life time. I think you might want to add some of the gorgeous Grand Cayman beaches to your list as well! Lucky you none of this beaches I have been too. Hopefully in the near future beaches are my favorite vacation destination. I've been to Cobo San Lucas and I have to say it is beautiful and breathtaking! It has some popularity to it so you'll have to make sure you go when it's not too busy.